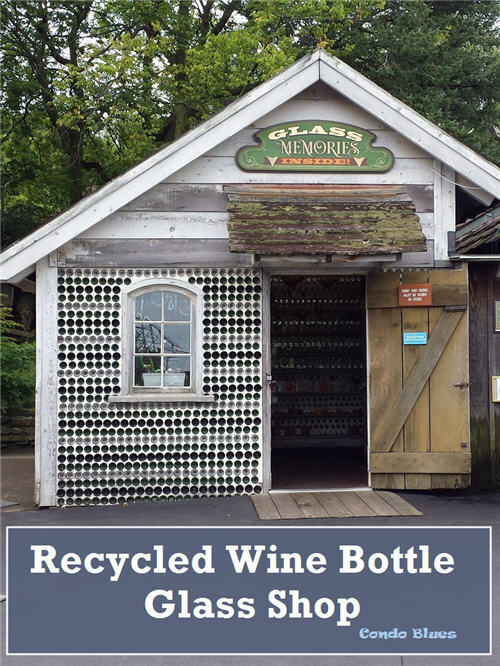 Recycling glass bottles into walls isn’t a new idea, glass bottle walls have been around since ancient Rome but seeing a glass bottle house in person rarely happens unless you know where to look. This tiny house made from recycled glass bottles is in Ohio practically under my nose until I stopped while walking past it (for a zillionth time in my life,) really looked at it, and realize it is a tiny store with wine glass bottle walls. The tiny glass bottle house structure is actually one of three attached buildings that make up the Glass House at Cedar Point. 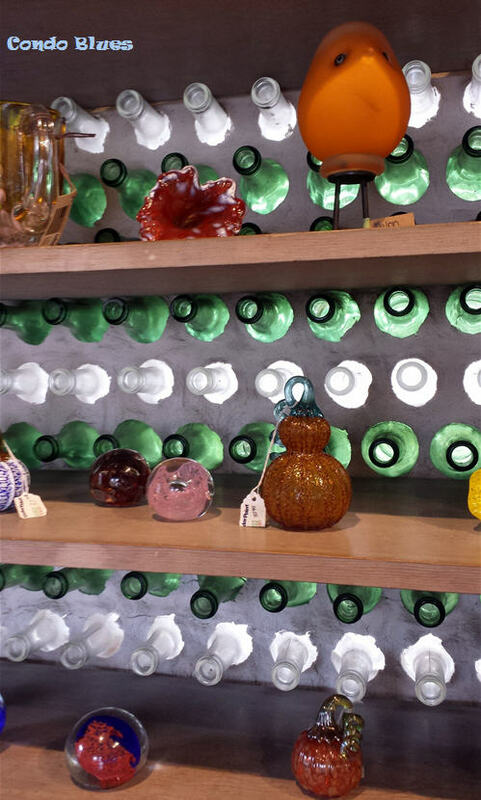 When the sun hits the the wine bottle walls at right time of day, they glow and make the hand blown glass pieces on the shelves look spectacular! 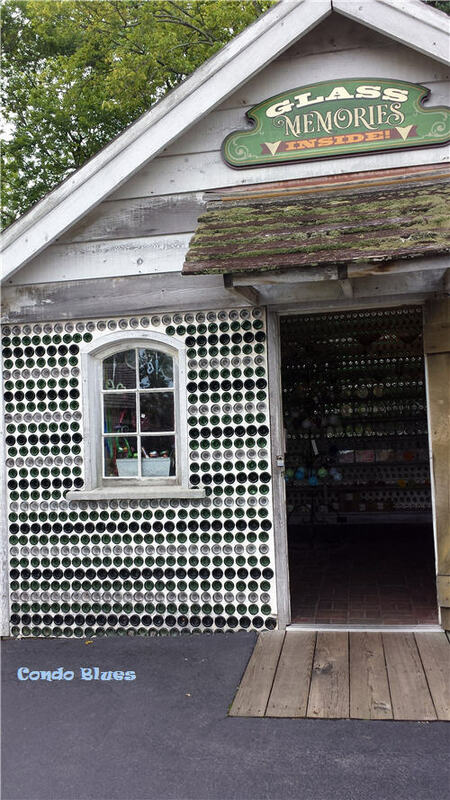 This recycled glass bottle shop was built in 1971 and has survived it fair share of fierce Lake Erie winds and a tornado in 1987. Who knew using glass bottles as building bricks could create such a sturdy structure? 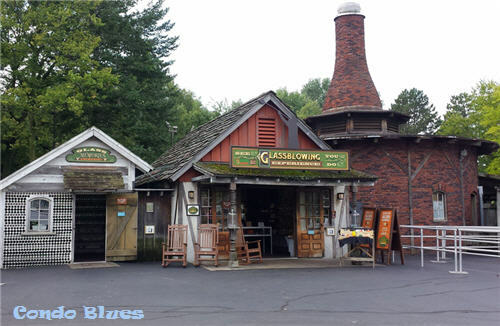 It’s funny (or somewhat sad) that I’ve walked past this clever recycled structure every summer of my childhood, and on a daily basis when I worked at Cedar Point as a teen, and only now recently realize what is old is new again. What have you looked at but haven’t really seen?